The SpaceX Dragon cargo spacecraft is targeted for launch August 14 from Kennedy Space Center for its twelfth commercial resupply (CRS-12) mission to the International Space Station. The flight will deliver investigations and instruments that study cosmic rays, protein crystal growth, stem cell-mediated recellularization and a nanosateliite technology demonstration. The vehicle will also deliver crew supplies and equipment to crew members living aboard the station. Do supernovae supply the bulk of cosmic rays? What is the history of cosmic rays in the galaxy? Can the energy spectra of cosmic rays result from a single mechanism? Tested in several long duration balloon flights, the CREAM instrument holds the longest known exposure record for a single balloon-borne experiment at approximately 160 days of exposure. CREAM's three-year mission will help the scientific community build a stronger understanding of the fundamental structure of the universe. The microgravity environment of the space station allows protein crystals to grow larger and in more perfect shapes than earth-grown crystals, allowing them to be better analyzed on Earth. Developed by the Michael J. Fox Foundation, Anatrace and Com-Pac International, the Crystallization of Leucine-rich repeat kinase 2 (LRRK2) under Microgravity Conditions (CASIS PCG 7) investigation will use the orbiting laboratory's microgravity environment to grow larger versions of this important protein, implicated in Parkinson's disease. Defining the exact shape and morphology of LRRK2 would help scientists to better understand the pathology of Parkinson's and aid in the development of therapies against this target. 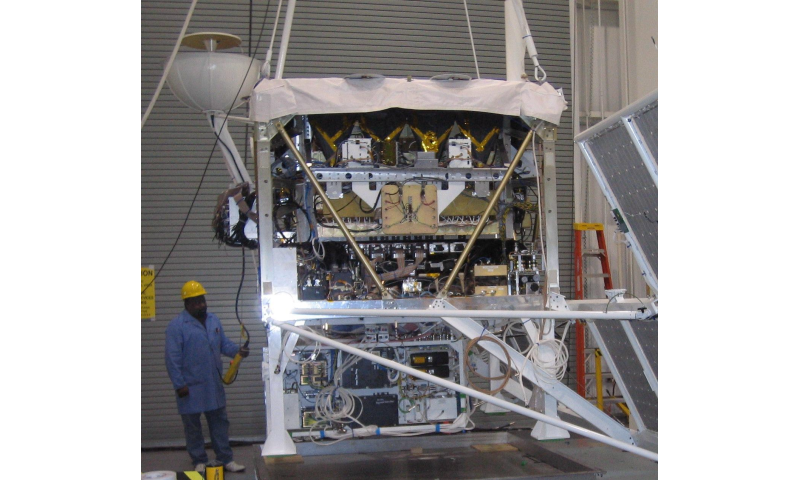 The Kestrel Eye (NanoRacks-KE IIM) investigation is a microsatellite carrying an optical imaging system payload. This investigation validates the concept of using microsatellites in low-Earth orbit to support critical operations, such as providing lower-cost Earth imagery in time-sensitive situations such as tracking severe weather and detecting natural disasters. 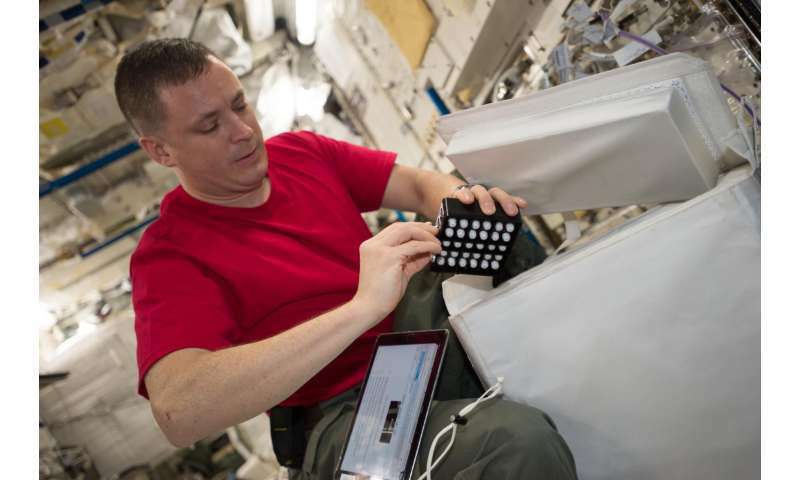 Sponsored by the space station U.S. National Laboratory, the overall mission goal for the investigation is to demonstrate that small satellites are viable platforms for providing critical path support to operations and hosting advanced payloads. The Effect of Microgravity on Stem Cell Mediated Recellularization (Lung Tissue) uses the microgravity environment of space to test strategies for growing new lung tissue. Using bioengineering techniques, the Lung Tissue investigation cultures different types of lung cells in controlled conditions aboard the space station. The cells are grown in a specialized framework that supplies them with critical growth factors so that scientists can observe how gravity affects growth and specialization as cells become new lung tissue. 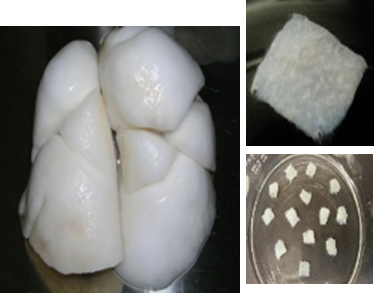 Tissue mimic models such as this also have the potential to be used for assessing drug or chemical toxicity by biotechnology and pharmaceutical companies and could allow for rapid testing of new chemicals and compounds, considerably lowering the overall costs for research and development of new drugs. The ultimate goal of this investigation is to produce bioengineered human lung tissue that can be used as a predictive model of human responses allowing for the study of lung development, lung physiology or disease pathology. These investigations and others launching aboard CRS-12 will join many other investigations currently happening aboard the space station. Follow @ISS_Research for more information about the science happening on station.